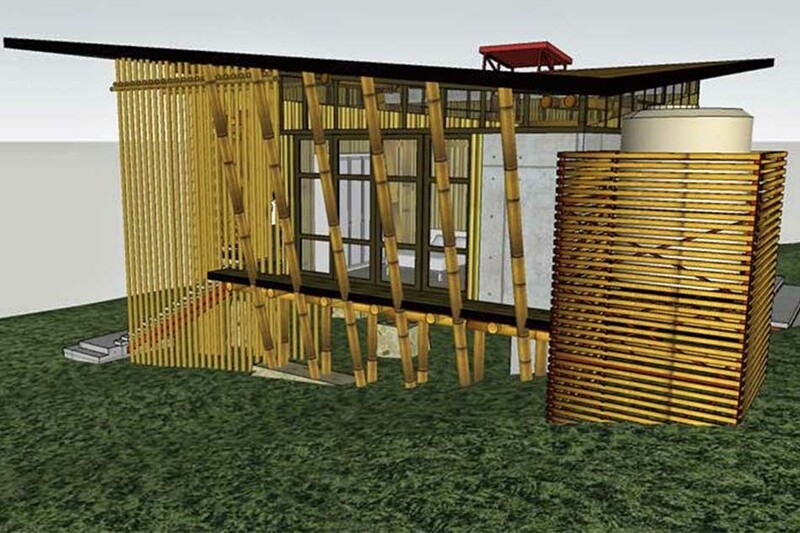 Architect Lui Daya-Garcia shows a design of Asensadong Komuninad Alay sa Pilipino (AKAP), a proposed sustainable emergency center that can serve as a training center and evacuation facility. We spoke to self-described “activists in suits” and got their thoughts in designing buildings that have the planet in mind. To stop climate change and the rise of the planet’s temperature beyond 1.5 degrees, more and more local architects are focusing on creating resilient, safe, sustainable, and long-lasting structures. Since homes and buildings account for 40 percent of global energy consumption, solar panels, wind power, and waste materials should be harnessed as sources of energy. The use of LED lights, efficient equipment, and motion-controlled escalators are a must, architects advised. “The Philippines should develop a technology for solar roofs,” says renewable energy advocate Robert Verzola. He cites the American tech evangelist Elon Musk, who developed solar roof tiles in 2016. 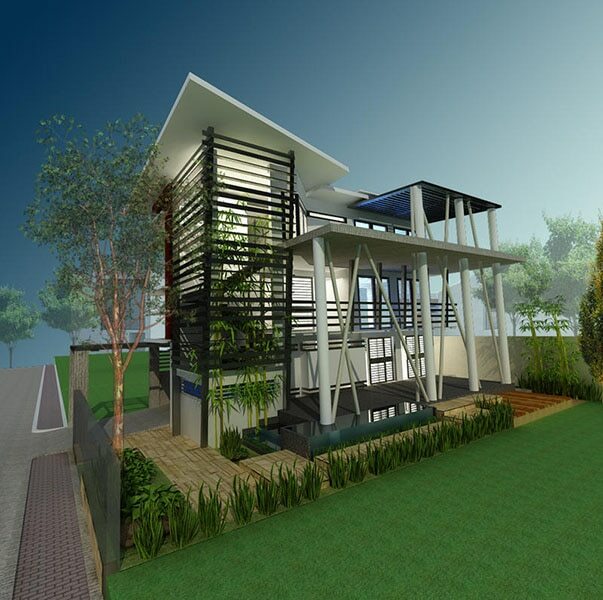 Architect Lui Daya-Garcia’s design innovation, the "DHouse", inspired by Philippines' traditional "Bahay Kubo”. However, “solar panels are now affordable, but batteries that store solar energy are not,” complains architect Nathaniel von Einsidel. Climate Change Commission assistant secretary Rommel Cuenca also thinks that the Energy Department should make renewable energy for all. Carmelito Tatlonghari, a building physicist, suggests an alternative material. “The use of building integrated photo voltaic (BIPV) glass curtains and panels – which let the light in and the heat out – is good for those who want low cost utilities,” he says. According to architects, buildings and residences must have air-filled, healthy, oxygenated, properly lighted, and temperature-controlled spaces. These include social areas such as libraries for culture, indoor gyms, or outdoor gardens for calisthenics, and receiving areas apart from restaurants and coffee shops. Coconut Palace in Manila's Cultural Center of the Philippines Complex, designed by grandfather of green architecture, Francisco "Bobby" Manosa, long inspired by "bahay kubo" (of the natives) and "bahay na bato" (the Spanish colonial homes of the rich): artisanal user since 1977 of indigenous bamboo, coconut shell, and rattan (crafted with high technology); and early proponent of green and healthy spaces, passive cooling, natural lighting, and low energy cost. Due to climate change, structures should be able to withstand flood, storm surge, and tsunamis. For her part, KMV Asia Development Corp.’s Kaydee Velasco says that she has “been preserving old trees and using pervious and grass-crete on pathways” to absorb water. Other architects say that aerodynamic and hydrodynamic shapes, including perforated facades weaken strong winds: load-bearing walls on coastal areas placed perpendicular, not parallel, to the sea, and do not face wind direction at 90 degrees withstand tsunamis. Living spaces elevated at 50 to 100 meters above sea level beat floods. Architect Joel Deoacaris, meanwhile, describes his green manifesto as quite radical. “There should be more vegetation than excessive construction now,” he asserts. His master thesis in landscape architecture at the University of the Philippines in 2018 called for the planting of local trees as windbreakers against storm surge. This is especially for those on the shore and around structures in Eastern Leyte, Central Philippines, which were hard-hit by four-grade storm Haiyan in 2013. His students re-designed the estero at Tripa de Ganilla in Malate, near the De La Salle College of St. Benilde, to solve Manila’s torrential flood. Modern constructions have trashed 90 percent of the estero built by Spanish colonials in Manila from the 16th century to the end of 1850. Like medicine, light in buildings and homes should enhance the health of its residents. This is achieved with big windows for natural light. LED fixtures can also imitate natural light and help people perform their best by day. There are mechanisms that can also dim or naturally shut off light to lull people to sleep at night. “Buildings should enhance people’s natural rhythm, and make people healthy, not sick,” says former health secretary, now acupuncturist and herbalist Dr. Jaime Galvez Tan. 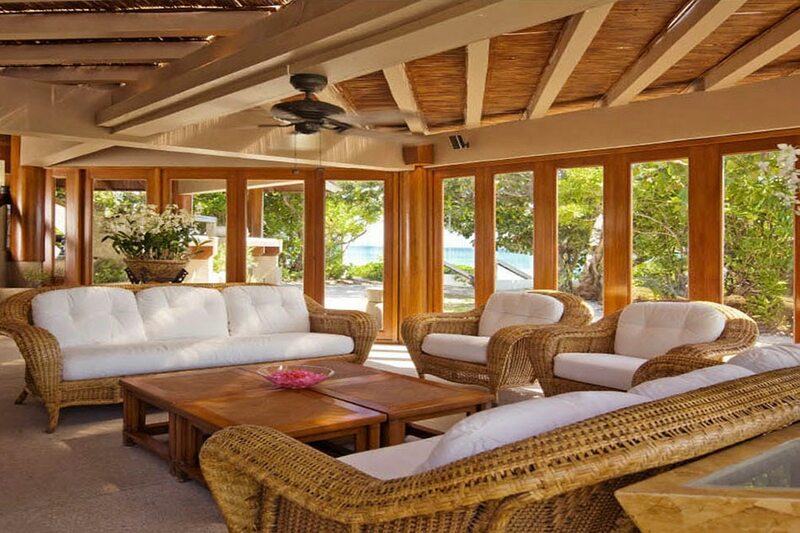 Amanpulo's interior in Pamalican, Palawan. 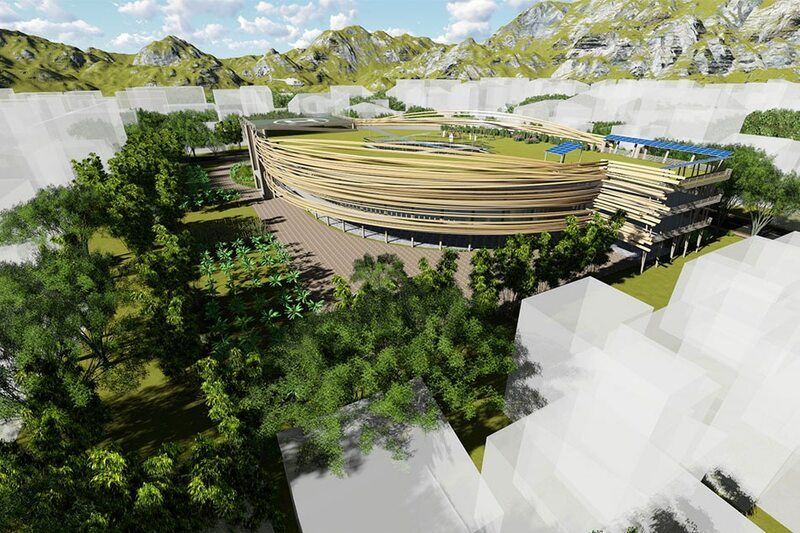 Image of Palawan’s fourth Zero Carbon Waste Resort (ZCR), judged by the Zero Carbon Resort Program - which the southwestern island launched in 2011, with funding from Austria’s Center for Appropriate Technology, after SEED and the Manila Observatory audited the favored tourist destination as Southeast Asia’s first with zero carbon balance. 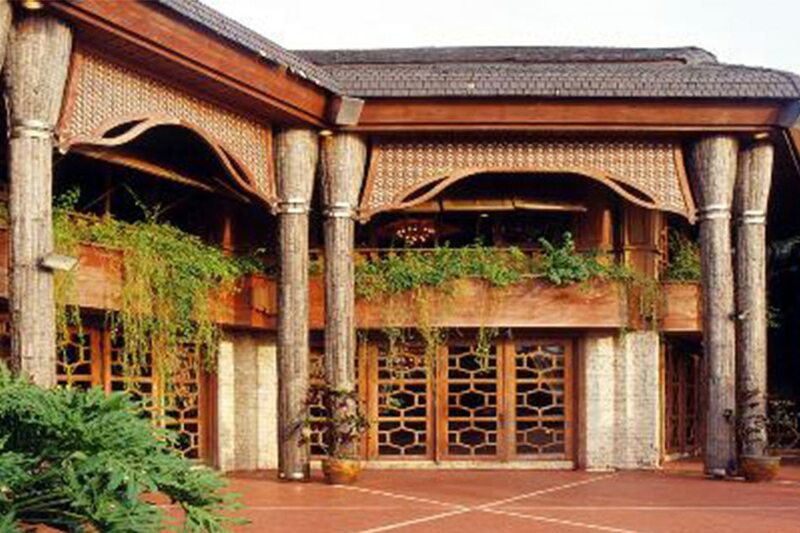 ZCR member resorts request advise and audit for creation of green resorts, following Palawan's launching of Zero Carbon Green Building Policy in Sept, 25 years after its ravage by illegal fishing, logging, and mining in the 1990s. Velasco, meanwhile, made use of container vans as stalls at Venessa’s Food Park in Laguna as well as recycled wood planks for the interiors of De Ete Expresso. However, the architects interviewed all lamented the absence of an alternative to cement, one of the largest global contributors to carbon dioxide emissions. Condo units, conference rooms, display areas, hospitals, pavements, residences, roads, and schools should be safe for all especially children, people with disabilities (PWDs), and seniors. “The Philippine Chinese General Hospital is friendly to PWDs because of ramps and wide doors. To make it more comfortable for the wheelchair-bound, leg space under tables is set at 0.70 meter, accessible counters at 0.70 to 1.20 meter above the floor, and not less than 0.40 meter from room corners. 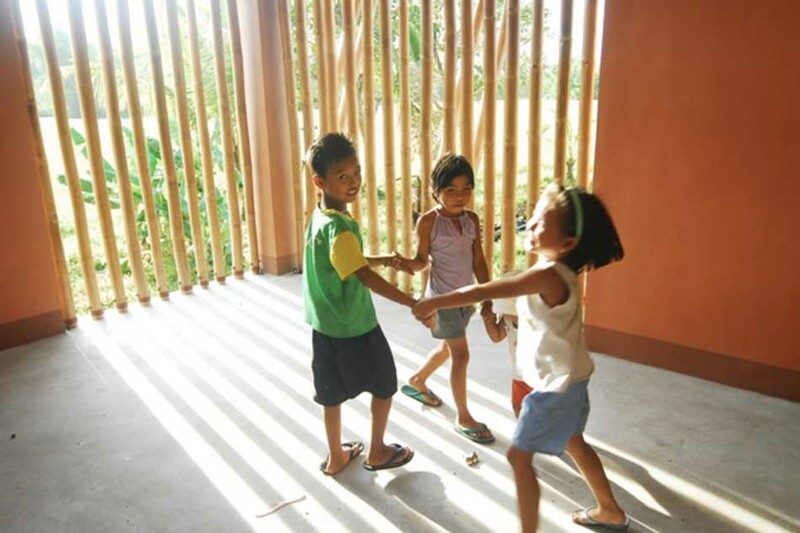 This include barrier-free areas with 1.5 meter diameter for turning wheelchairs, locking and unlocking of leg braces, crutches and other walking aids,” says architect Velasco. 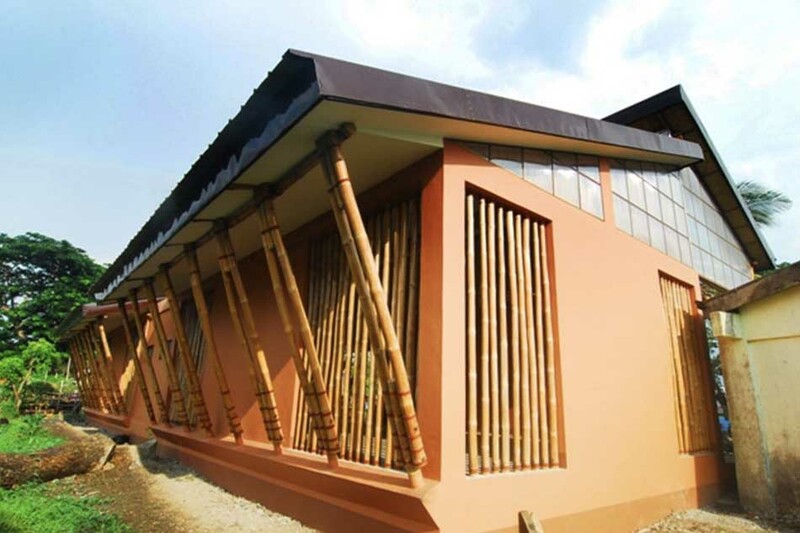 The Millennium School in Bicol, southern Luzon, the country's first (it can withstand 150 kph winds), was constructed in 2010 like "bah-kubo" (indigenous in the Philippines and other Southeast Asian countries), designed by architect Eleena Jamil of Malaysia, winner of the 2008 Millennium Schools Design Competition of My Shelter Foundation (which is led by Iliac Diaz). Waste management must include a sewage treatment plant, facilities that segregate bio-degradable, non-biodegradable, and hazardous waste, and mechanisms that filter water. This should also include ways to repurpose gray water for watering plants and flushing of toilets. “Double water-pipes for flushing toilets with treated water, and for watering plants with harvested water is one reason why green waste management is expensive,” explains Rchitects, Inc. owner Raul Bumanglad. “If green waste management is done on a municipal level, it can fast-track the use of waste as alternative source of energy, nationwide,” adds Green AP founder Edgar Reformado. In tropical Philippines, temperature is controlled by sun and wind movement. Bedrooms are placed in morning sun-lit northeast areas, and kitchens in cool and windy southwest spaces. Big windows and open spaces are there for natural and passive wind flow. Sun buffers and earth tone colors are in place to prevent heat absorption. Architect Lui Daya-Garcia, shows off design of Asensadong Komuninad Alay sa Pilipino (AKAP), a proposed sustainable emergency center and community with dual purpose: a training center during good times, and an emergency or evacuation facility during calamities, presented to ministers of Asia Pacific countries during the first International Asia Pacific Healthy Islands Confidence in July 2018 and at the Climate Change Consciousness Week in November 2018. 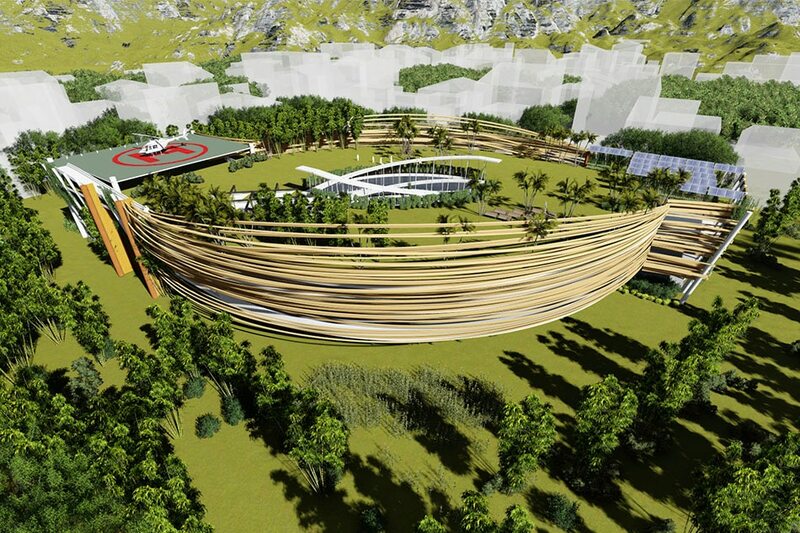 Design was mulled after four-grade Typhoon Haiyan devastated Central Philippines in November 2013. The Philippine Greenbuilding Council (PGBC), a coalition of academe, business, government, and professional organizations, began a rating system in 2009. 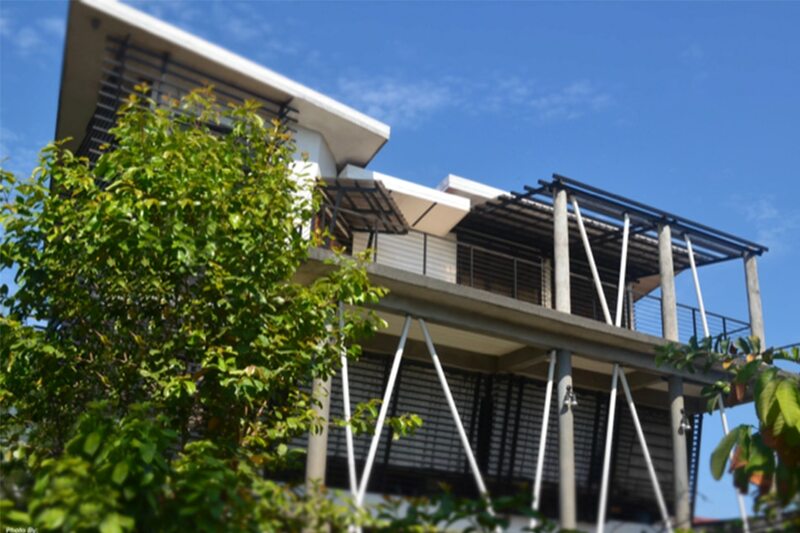 They called it Buildings for Ecologically Responsive Design Excellence (BERDE), and was a means to measure a buildings’ environmental performance and sustainability. They’ve done this in partnership with the Asian Institute of Management, the Commission on Climate Change, and the World Bank. “PGBC is not yet lobbying for BERDE to be enacted into law. We want incentives such as technology or tax rebates for properties with good environmental ratings,” says architect Christopher dela Cruz.